IF there was a place locally where several people had lost their lives on separate occasions over the past 30 years you would expect something to be done about it - wouldn’t you? Especially if the remedial action is quite straightforward. There is such a place and although little has been done, there is a campaign, and now the arrival of the area board could give us the chance to sort it out. 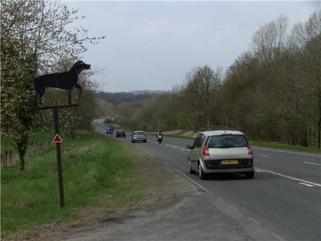 “That dangerous place is Black Dog Hill, three miles north-west of the town on the A36,” said Steve Dancey. “Anyone over a certain age can recall the twisty turning track which this road used to follow but ironically the new road, opened in the mid 70s has claimed many more lives than the old highway. “The problem is that the road only has three lanes and with overtaking vehicles meeting each other in the middle at high speed the potential for terrible accidents has so often been realised. There is also a bend at the bottom of the hill. With the greater authority of the area board we can call in the Highway Agency or whoever they say has the power to make decisions, to explain what is going on and why on earth they haven’t done anything about this deadly matter over the past 30 years. 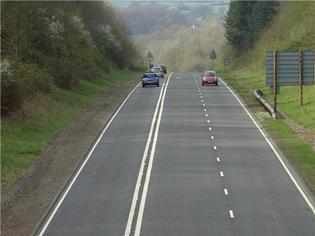 The road is situated on the Warminster area board’s ground and is used by thousands of residents from the town every week. We believe this matter should be high on the agenda. *Chapmanslade and Standerwick parish councils have been campaigning jointly on this issue for some time but we should be prepared to bring our added weight to bear.